What else can we say about David Bowie at this point? The man left behind shock waves in every industry he touched. 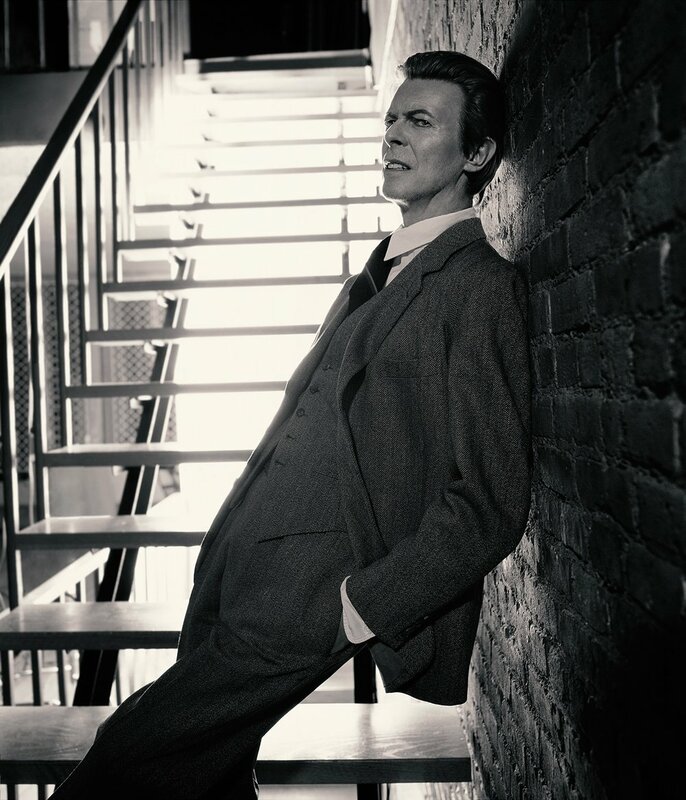 In honor of his legend, last night in Hollywood at Mr.MusicHead Gallery, award-winning fashion, celebrity photographer and director Markus Klinko presented his favorite never-before-seen images of Bowie in his exhibition: Bowie Unseen. The collection of audacious and intimate photos introduces 14 FUJIFILM Instant Film prints taken of Bowie in 2001. The exhibition directly aids Gabrielle’s Angel Foundation for Cancer Research, a nod to Bowie’s battle with liver cancer. Klinko spoke with us on the opening night of Bowie Unseen in Los Angeles. How did you meet David Bowie? Well, in 2001, I was with Iman at an editing session for her book I Am Iman. David just happened to show up that day and we were introduced to each other through her. What’s your best memory with him? It was right after 9/11 so, it was very mournful out and gloomy. This was just before the shoot. He asked me to stop by his recording studio to listen to a few of his songs. The album wasn’t fully done just yet. He wanted to know what I thought about them. The songs playing were very melancholy and I vividly remember watching him stare out the window while smoking a cigarette. One of my favorite memories with him. It was a classic image of seeing him in his true being. What’s the meaning behind the photoshoot? Again, after 9/11, David decided he wanted the shoot to display a character of a man who doesn’t believe and no longer has faith in the world. Now this isn’t about religion, specifically, but in general. On the cover of his album “Heathen”, he has blind eyes which was also inspired by no faith and disbelief. Which image is your favorite from the collection? I’d say the image titled “Meditation,” a moment of such zen. However, I do like the image of him on the stairs. We title the images, but I can’t remember the name of that one. He had this somewhat devilish smirk on his face. Why was only Bowie’s head used in the images with wolves? 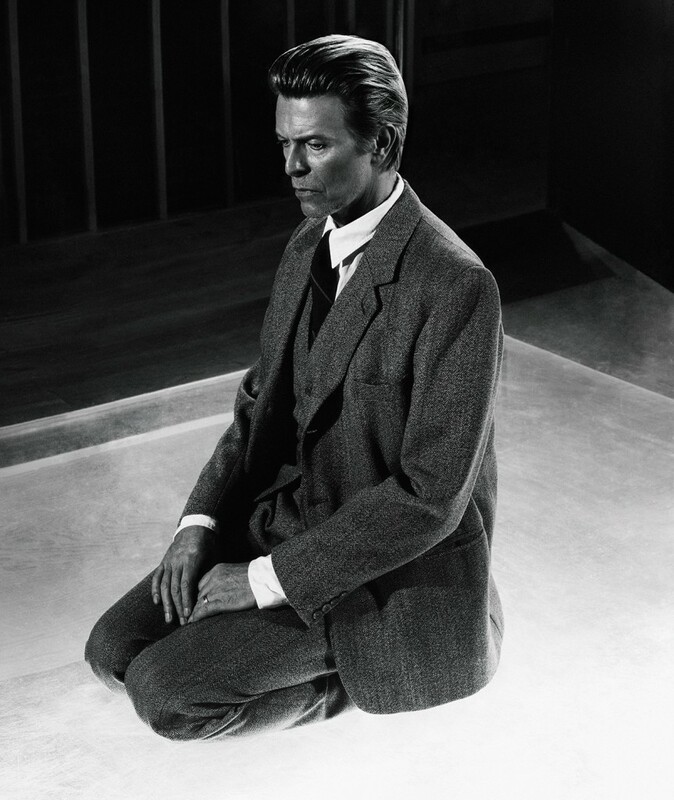 It’s no secret that only Bowie’s head was used and another model stood in for his body. We didn’t want it to be a secret, either. In 2001, I was working with GQ for “Men of the Year” and wanted to do an edgy shoot…something crazy. I thought wolves would be a perfect! Bowie was up for the idea. At the time, he was on tour so we came up with the idea for a virtual photoshoot. It was definitely well thought out, Bowie’s head, and the model’s body. It’s one of GQ’s favorite shoots and has been nominated as an all-time favorite. Why did you decide to use wolves in the photoshoot? It was just an idea in my head and decided why not go for it? Something different. Where else will Bowie Unseen take place? Well, in fact, it was recently just shown in Miami in February and Switzerland in March. It will be shown in Paris in a week. We have a second showing of the images. Towards summer, Tokyo will be next in July. Not to mention, ten large prints were sold in Amsterdam! Personally, Los Angeles has been my favorite location to show the unseen images. It’s like home for me. Overall, I’d like for the images to receive as much recognition as possible.